Axel Burla and Begum Tuna launched fashion label in 2010. Though based in New York City, the pair travel often to their hometown of Istanbul, where their clothing production is based. We caught up with the duo after a recent trip. How long were you there? A little over two months. Why did you go? Axel: We primarily go to check on our production and create samples for our upcoming collections. How did you research the trip? Axel: Because we were both raised in Istanbul and lived there until we moved to the United States for college, we pretty much know Istanbul by heart. But since launching our own line — we are in our third production season now — we have become more familiar with the textile and garment districts of the city, which are areas we didn't spend much time in prior to starting BEATRIXE. Begum: of course. And it's always a great opportunity to catch up with all of our childhood friends. Begum: The fact that we cannot find our way around Istanbul's textile districts! Although we were born and raised there, we got used to Manhattan's easy transit system, where all you need is the street name and number to find a location. In Istanbul, you need to know if it's close to a school or a government building or if it's around the corner from a restaurant, etc. No one knows street names or building numbers, so it can be really frustrating! Begum: Summer cuisine in Turkey is amazing. The hot summer is perfect for grilled eggplant with yogurt, watermelon, cucumbers, feta cheese, and all the Turkish tapas we love so much. 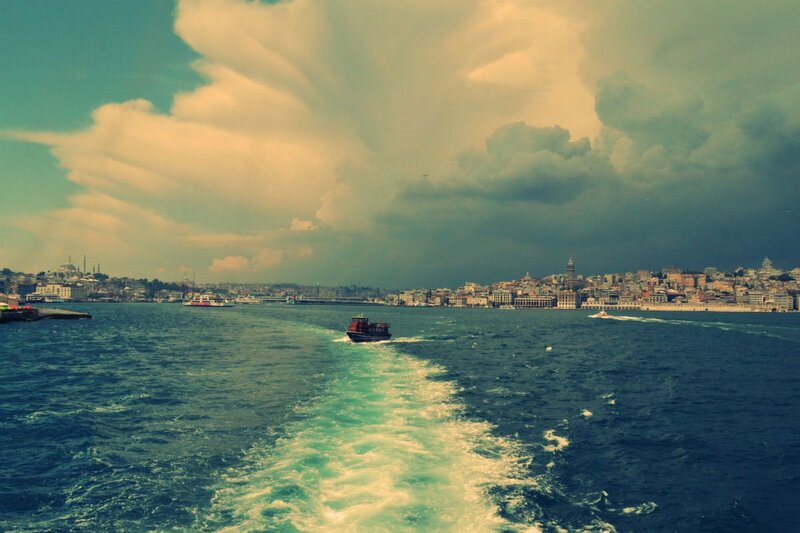 Axel: We both stay with our families, but we do try to spend a few nights at , which is only about a 30-minute boat ride from the center of Istanbul and a popular summer spot. In such a busy city, sometimes you need a relaxing time off, away from the crowds. Axel: We both hate to drive, probably a habit we got living in New York, so we usually take taxis. Begum: Spend more time around Bosphorous! The beautiful view is never ever enough. It's enchanting. Were you there for the right amount of time? Axel: If it's your first time there, a week seems to be the right amount of time, but you can only see so much in Istanbul. There are always new restaurants, bars, and museums to check out. One thing/place you didn't get to visit, but wanted to? Axel: I always try to stop by the for inspiration. But lately we've been spending most of our time in ateliers. When friends tell you they are going to visit Istanbul, where do you send them? Begum: We have a very long list that gets updated every six months. Axel: If it's their first time in Istanbul, is a great rooftop bar with a breathtaking view of the old city and the perfect spot to grab drinks. Begum: For sightseeing, I would say , the , (Hagia Sophia) and the Grand Bazaar. Besides the , and the , the Beyoglu district also has some really cool contemporary art exhibitions. What did you know on your last day of the trip that you wish you had known on your first? Axel: The fact that I will be back again for the next production season is always a relief. Every time I go back to Istanbul, there's something that surprises me. It's changing so fast that it's almost impossible not to want to go back. Jeralyn is Gentedimontagna's co-founder and editorial director and NYC's biggest fan. You can follow her at @jgerba , and . She travels for the ancient ruins and the future relics.